Dropbox has released version 2.4 for download for Mac and PC which allows the saving of screenshots to the service–plus the creation of an instant shareable link copied to your clipboard. We tested this feature out and it works perfectly. How to take a screenshot on your Mac? Just press Command + Shift + 4 on your keyboard, highlight what you want to take a snap of and let go. Your screenshot will automatically be uploaded to Dropbox and a shareable link copied to your clipboard. As an added bonus for all you Mac users, today’s update also includes a nice little importer that copies your photos from iPhoto directly to your Dropbox. Note our Dropbox prompt says 3GB of free space will be provided to ensure ample room for our photos. 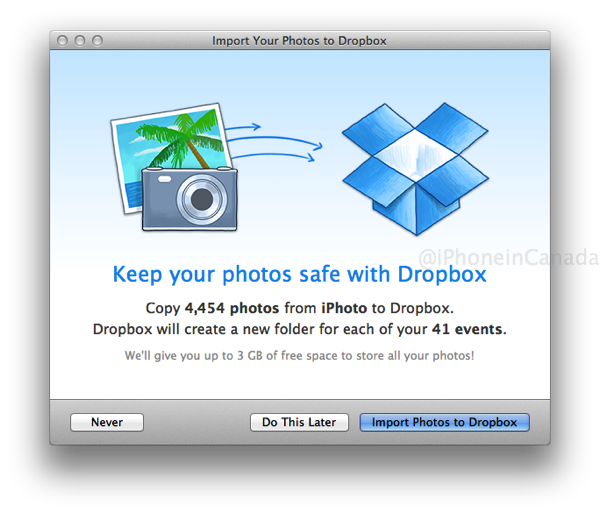 How to copy your iPhoto images to Dropbox? 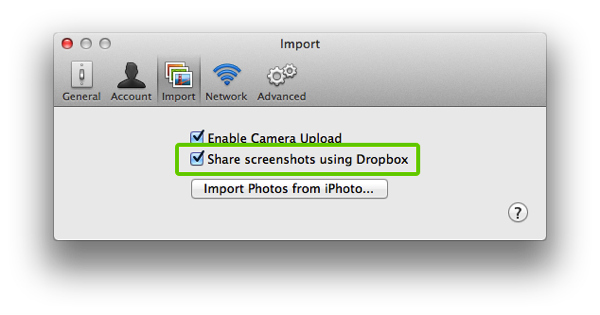 Launch Dropbox preferences, go to the Import tab, then click on ‘Import Photos from iPhoto” and agree to the prompt. Are you going to upload your iPhoto library to Dropbox? It might be worth it for some free space especially if you don’t use iPhoto to manage your photos. 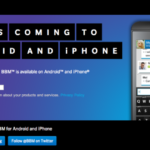 Not using Dropbox yet? Click here to sign up (you’ll get bonus space and so will we). Let us know how this works for you! Update: You will have to download the 2.4 update manually like we did because it doesn’t update automatically.